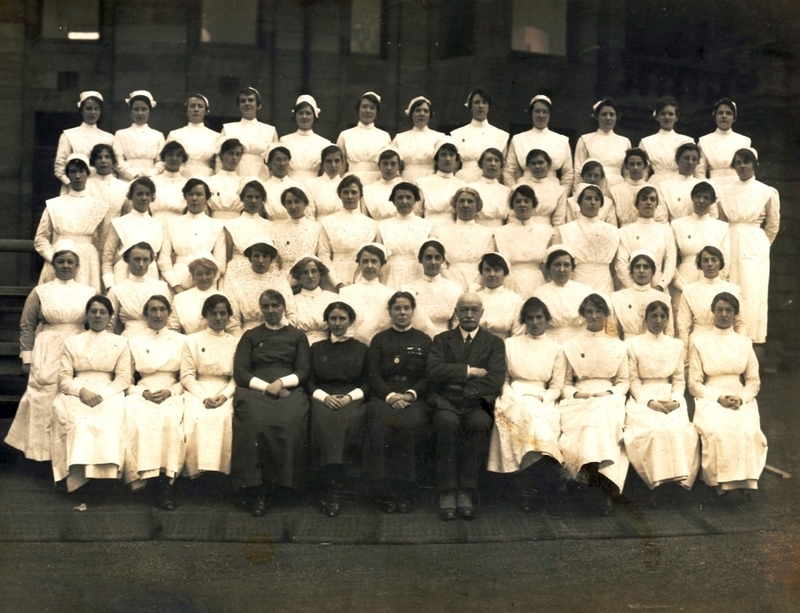 Group photograph of Glasgow Royal Infirmary Nursing staff with Dr J. Maxtone Thom, Superintendent. “GRI Nursing staff with Dr Thom,” Heritage, accessed April 23, 2019, https://heritage.rcpsg.ac.uk/items/show/840. 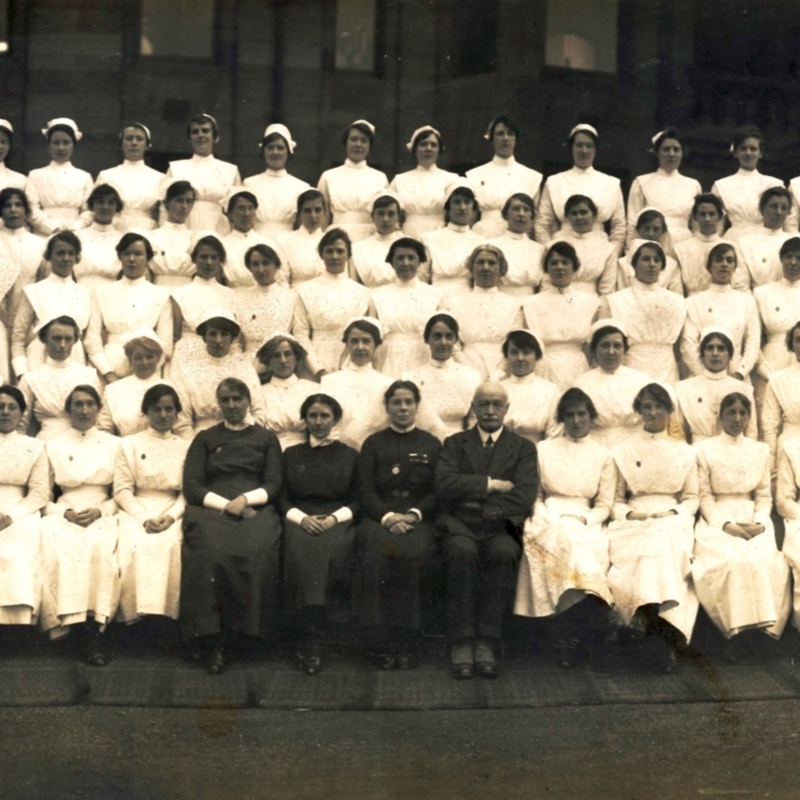 Description: Group photograph of Glasgow Royal Infirmary Nursing staff with Dr J. Maxtone Thom, Superintendent.